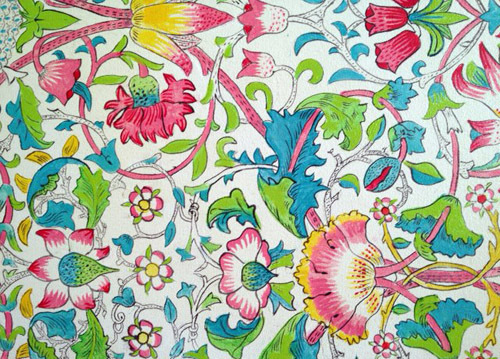 I have always found something soothing about sewing – ornamental sewing, not practical where something needs mending or fixing. 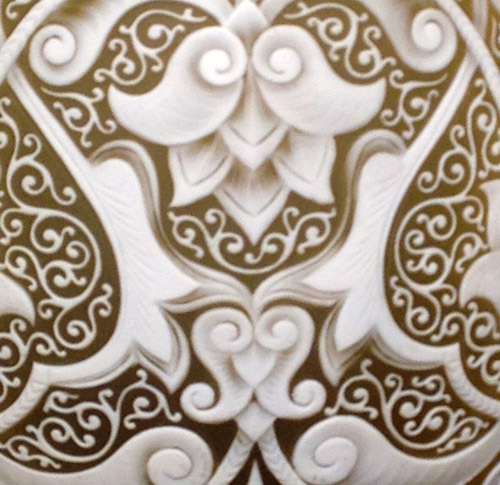 The making of one mark, repeated by others, over a period of time, forming a larger image or pattern – my eye likes this too. I loved reading and words first, since before I thought about expressing myself with images. So I’m a sucker for artwork that involves words and letters. 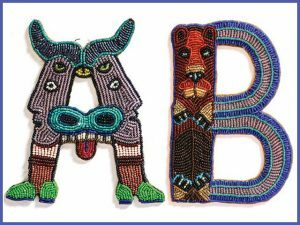 Beaded letters from Anne Kingsbury’s Pataphysical Alphabet. 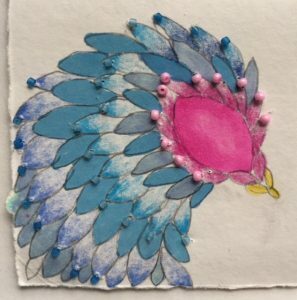 Recently I had the great pleasure of seeing an exhibit of Anne Kingsbury’s beaded alphabet, accompanying drawings, and unrelated journal entries. It was like a visual meditation for me, looking at all the tiny beads and imagining the artist sewing each one into the leather backing, over a period of time; then stepping back and synching that thought of one bead followed by another bead and another, comprising the whole image of each fantastical letter. Drawing from 2016 “daily bird” series, augmented with beads. 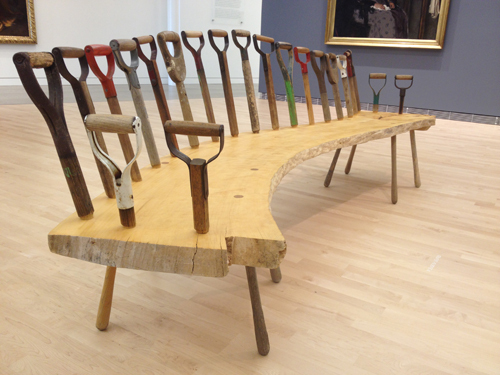 In an interview, Ms. Kingsbury made mention of “slow improvisation” in her approach to making art. Always conscious of time (how much, how little, what is yet to do within it), I find myself mulling the thought of mark-making over time, whether with ink or thread or beads, to take a longer journey toward the whole. Beginning of “start with one mark” drawing. Begun after seeing Anne Kingsbury’s journals and beaded letters. We are interested in bees as pollinators and part of agricultural life cycle (bringers of flowers, fruit and vegetables). 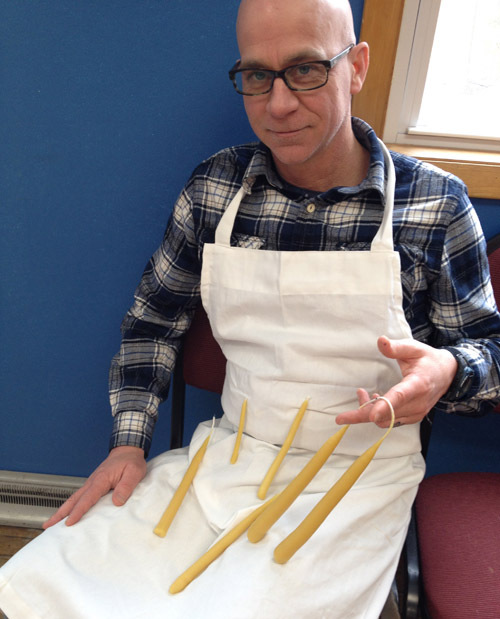 On those auspices, we took a class on Beeswax Candle Dipping via the Driftless Folk School. 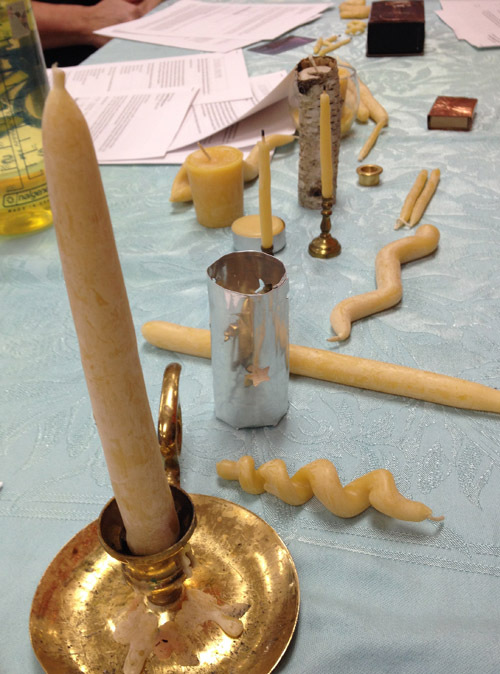 Instructor Martha Buche had the wax already a-melting so the classroom smelled great as soon as we began. 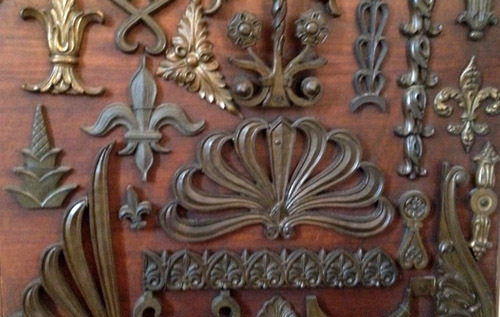 As a sculptor I have worked with wax in other processes: making plaster mold castings into which glass or bronze was poured, doing a bit of carving and shaping directly into the wax before they were burned out to make the permanent castings. I had never worked with wax by dipping it. 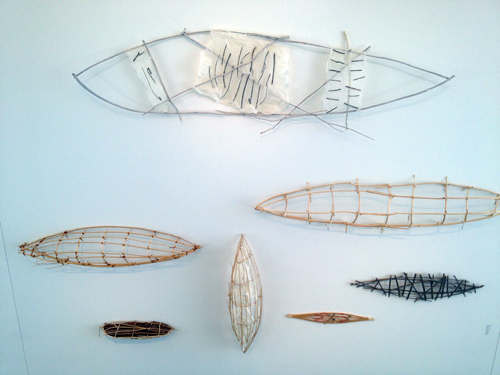 Martha also has a formal art background, and shared with us a bit about her non-wax sculptural work. Building up beeswax slowly along the wick, through a series of dips into hot liquid wax. Discussions ran from art to agriculture to homesteading and DIY – the practice of making candles with beeswax touched all of these areas. 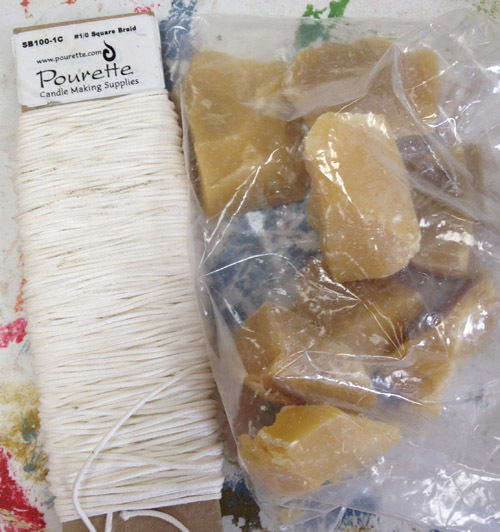 We speculated what it would be like – in a longer class – to harvest the wax and then make the candles, starting earlier in the wax-making process by getting to know the wax-makers: the bees. Discussion got fanciful and spun our theoretical class into a week-long workshop in which attendees would learn beekeeping, harvest wax and make candles, harvest honey, and turn some of the honey into mead! 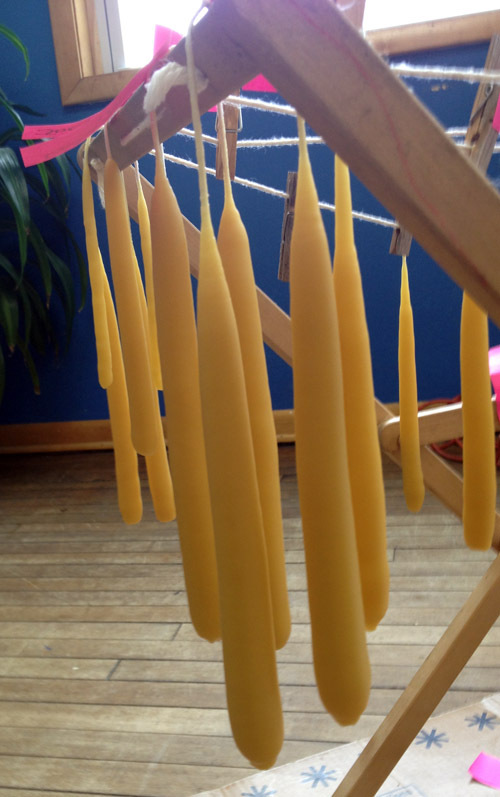 Seph and I each made several dipped beeswax candles during class, in an assortment of lengths and thicknesses. We learned that this class was conducted on January 31 specifically because the first few days of February is a significant time of renewal and new beginnings in several traditions, including Candlemas, Groundhog Day and St Brigid’s feast day. In recognition of the day being a good time to celebrate new things and affirm intentions for the coming year, we all made wee promise candles and lit them in a circle. 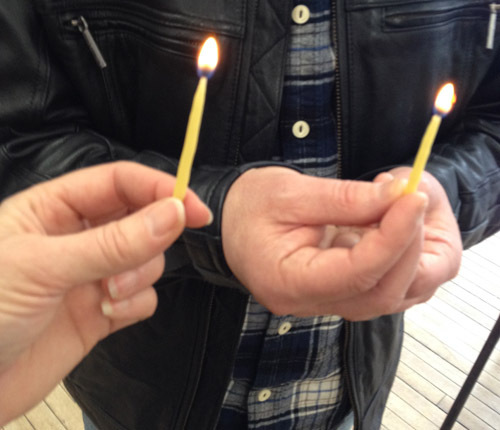 Lighting “promise” candles on Candlemas to reaffirm and set intentions for the coming year. 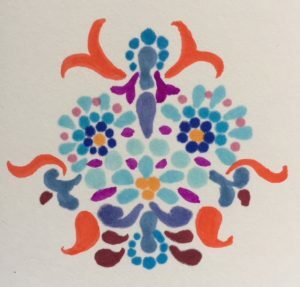 The class engendered a sense of restful contemplation which will not leave me any time soon, and spurred new insights into how different art processes – welding, grinding, drawing, painting, writing, candle dipping – engender different “head space” for me, from meditative to agitated watchfulness. 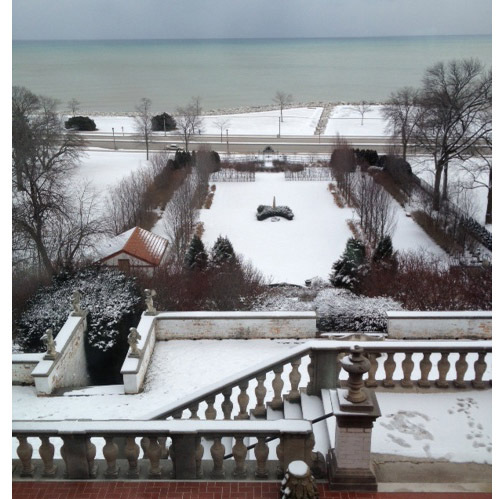 Winter enforces its own kind of focus on my surroundings. 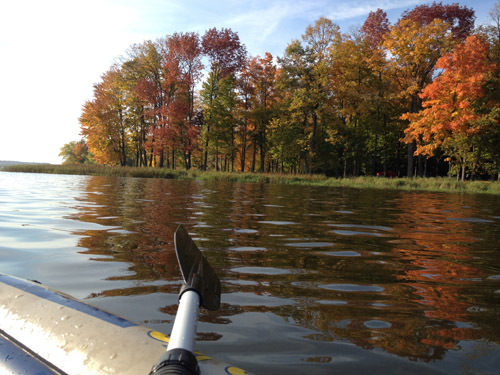 As an artist, I find myself most attuned to this change in focus when spending time outside. 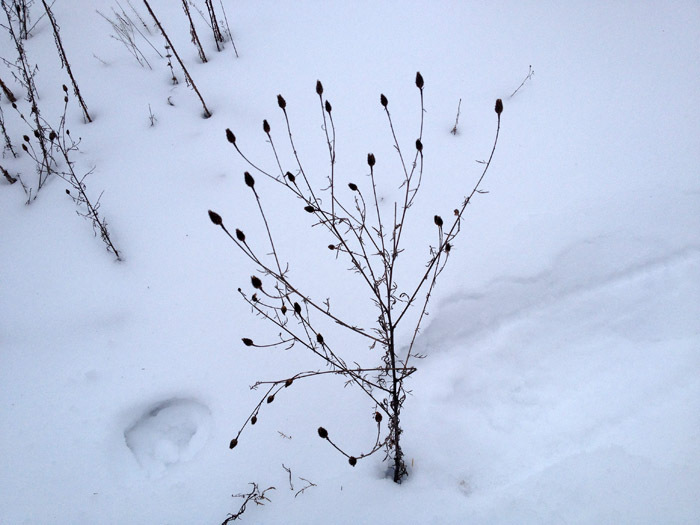 When color and mass are gone or muted, other elements come to the foreground of my attention: lines and silhouettes; individual plants or details rather than the bigger picture. A stand of trees in the summer presents itself as a mass of foliage and dappled light / shadow. 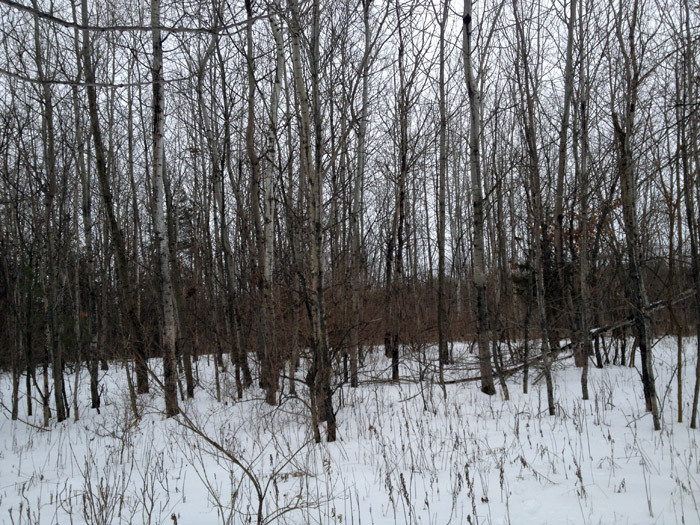 The winterized stand of trees is a study in structure – with leaves long gone, the “skeletons” of tree wood draw attention – and a changed perception, highlighting how individual trees mass together to form a whole stand of trees. 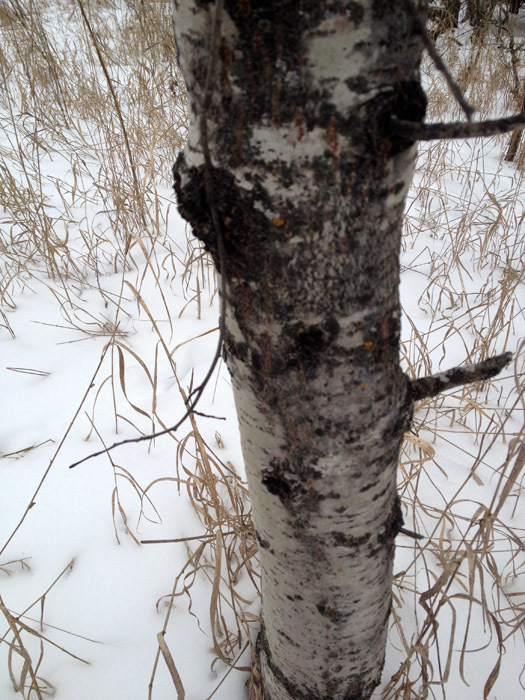 Pattern catches my attention in a different way too: winter branches in wind scratch against the sky like writing; summer leaves heave and ripple together as one mass of green like a swell of the ocean. 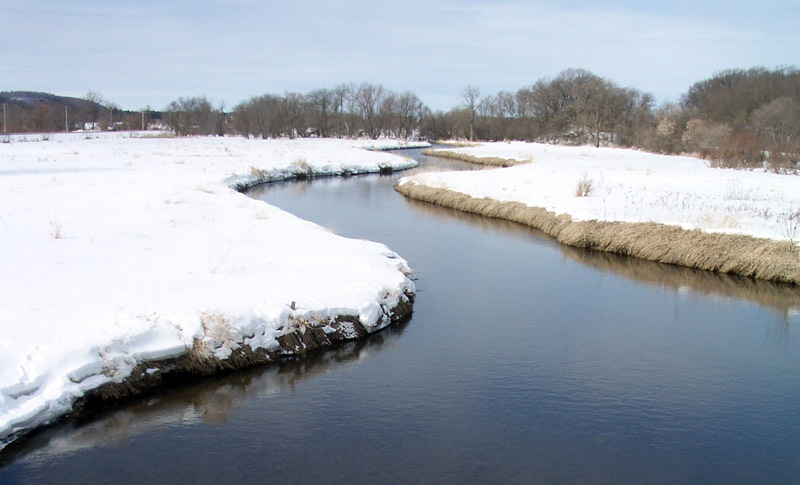 Winter’s starkness is revelatory, giving me lessons in studiousness and perceptiveness that I try to remember when the riotous colors and smells of spring herald the turn to a fuller time of year. My friend Eyvonne interviewed me for a class about artistic identity. The questions — and the process of answering them — got me thinking and articulating about my artistic process in a way I hadn’t for quite awhile. The interview questions and answers follow, puncutated with photographic illustrations. 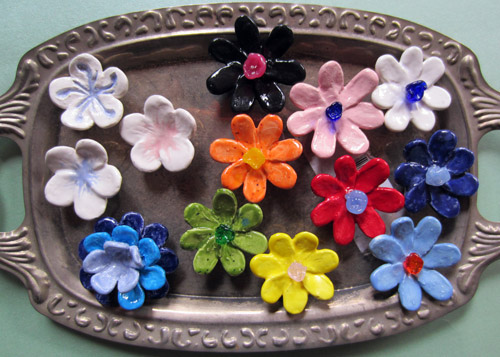 Cermamic flower magnets (some with glass flower accents). Who do you do your work for? far as variety (different colors / shapes) and what I know sells well (blue! the final piece of art, and neither of us (me or the client) would be happy. work; I’ve only had to decline a few times. 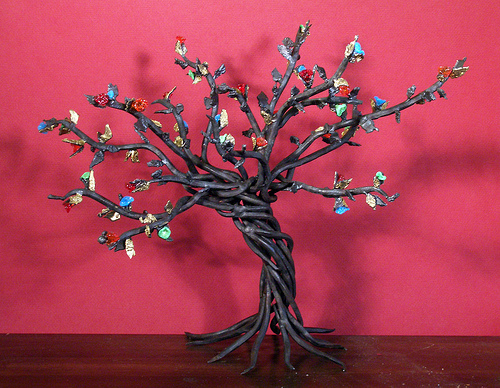 Tree sculpture commission: steel tree with glass flowers and painted leaves. Why have you selected the particular materials you work with? line that would look more machine-made than “grown”. 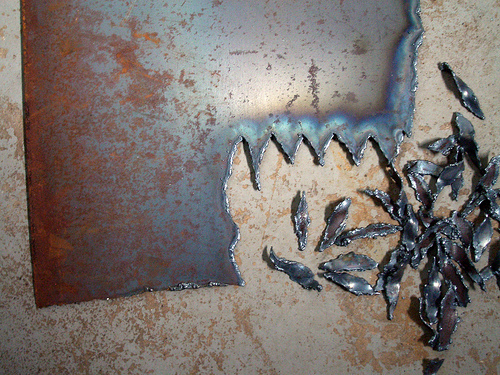 Flat plate steel and flame-cut / bent steel pieces, ready for use in sculpture. How would you hope that people would respond to your work? What does it feel like when you’re working? What is the process like? 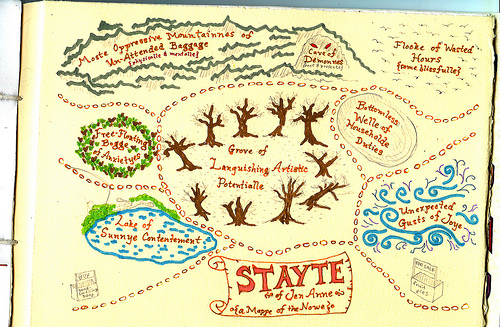 “State of mind” map from 2008.
visually or physically. That doesn’t happen often though. This is one of those pieces that just wasn’t quite right at first go; too much silver on the trunk, which I went back and rubbed off. you gain from your work? Are there disadvantages? will continue into the world, long after they are dead and forgotten. Welded steel spine with blown glass accents. What does it mean to be an artist to you? different) interpretations, is yet another evolution! 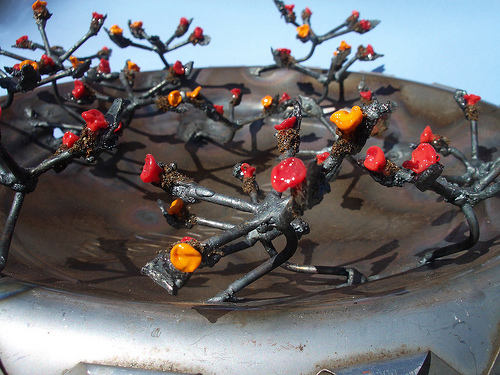 Community-wide project where each artist began with a hubcap to make their piece. 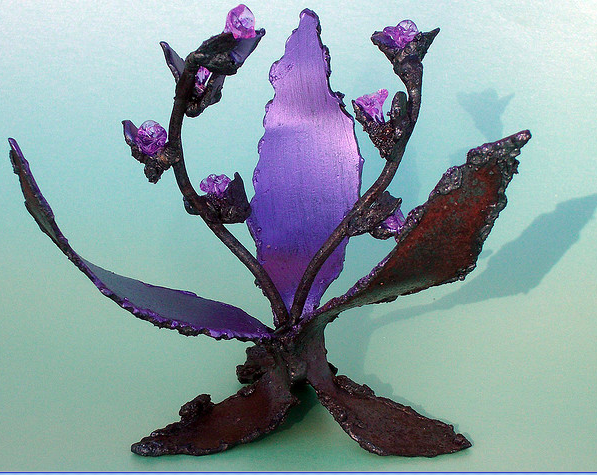 Mine used welded steel, steel dust and lampworked glass flowers. Parties — any occasion where people visit your house — are fantastic motivators to clean up, repair, finish all the little things you’ve been meaning to do. Being in a craft show or art exhibit has a similar effect: not only does this public appearance inspire new work; it also makes me consider my promotional and online presence with a clear-eyed view. My ‘Craft Show Prep’ task list includes items in the realm of art (making some new stuff), marketing (via etsy, Facebook, the blog, my web site, Pinterest, an email and a mailer), promotion (things I want to do differently at the booth itself during the actual show) and strategy (falling 4.5 weeks before Christmas, the show is ideally timed to capture the attention of potential customers who won’t necessarily attend the show itself, but may want to purchase holiday gifts – part of my reason for choosing to enter this particular show). My two spring shows did the trick in motivating me to make new work… sadly, that didn’t carry through to publishing that work on etsy (my main buying channel). I did manage to take proper photos of the new pieces, and now I need to update my etsy storefront with them. Thinking about my booth and looking at my notes from past shows, I will pull the trigger on ordering a professionally-produced banner to replace the slowly disintegrating paper banner (a veteran of four shows now). The decision about making new work is reached by analyzing past sales patterns (does blue sell better than other colors? 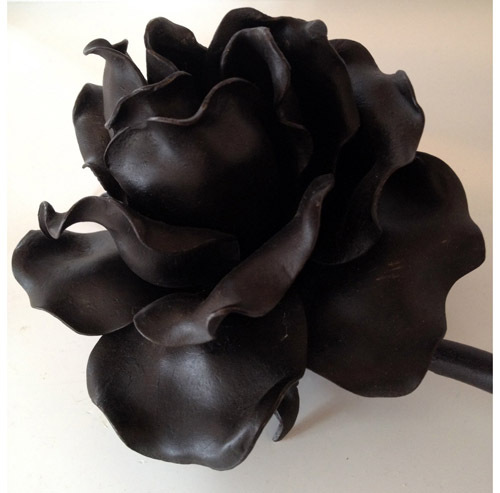 do sculptures in a $20-25 price range have more appeal than lower/higher?) 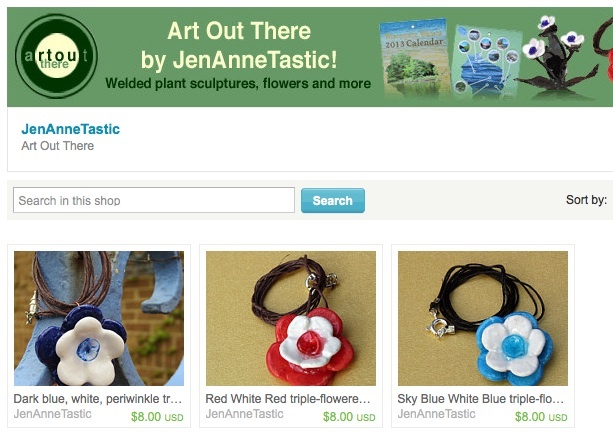 and color spectrum: I like my product groups — necklaces, magnets, sculptures — to represent a wide palette. 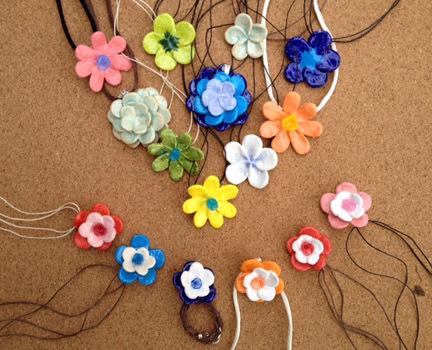 This fall, I find myself needing green, purple, yellow and white flower necklaces; orange, purple and pink sculptures; and dark blue, orange, green and red ceramic flower magnets. 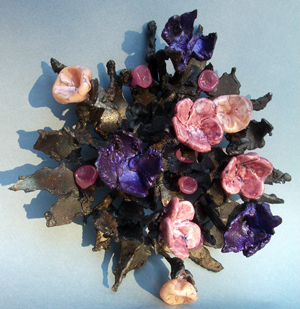 Color range of my current sculptures reveals a need for orange, pink and purple. The promotional efforts tie everything together, generating conversation and excitement about the show, even by people who won’t be attending – the conversation is my favorite part, and I can’t wait for it to kick in again! Craft show popularity contest – pick me! It’s popularity contest time again: applications for holiday season craft shows are flying thick and fast, and the jockeying is on! It’s a bit like applying to grad school, or dating inside / outside of your known circle: there are advantages and drawbacks of being known vs. being new. If you’re new, you’re potentially fresh and different (in a good way) BUT also potentially a complete black sheep with dismal chances for acceptance, because you don’t fit in with the needs of the particular show’s audience, price range, etc. If you’re known, there’s the comfort of having been accepted before BUT also the danger of contempt-by-familiarity: seen that, accepted that last year, need to feed the audience something new. I made first-time appearances at two shows earlier this year. 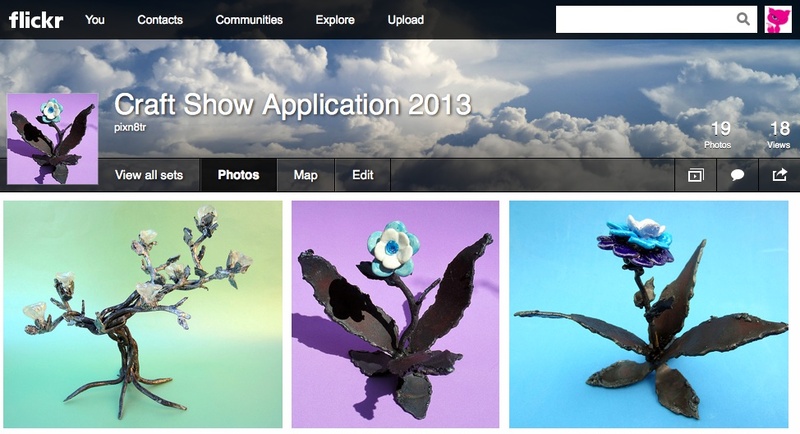 The Warner Spring Show in April motivated me to enact new ideas for my booth display. The Baraboo show in May was my first outdoor show, and put the new displays (and everything else!) to the test with wildly fluctuating spring weather, including constant powerful gusts and intermittent rain and hail. At the Warner show sales were slow and I didn’t break even (cost of time/supplies to make all the items sold, plus show entry fee). 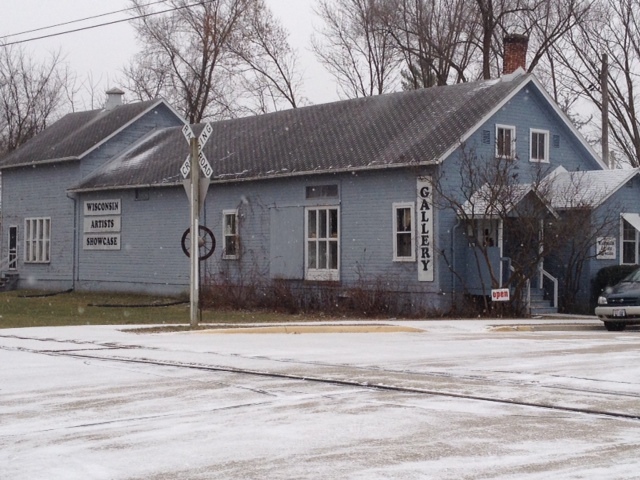 Many other sellers said traffic and purchases were down from the previous year. At the Baraboo show, I did barely break even, despite the wild weather forcing us to close an hour early. 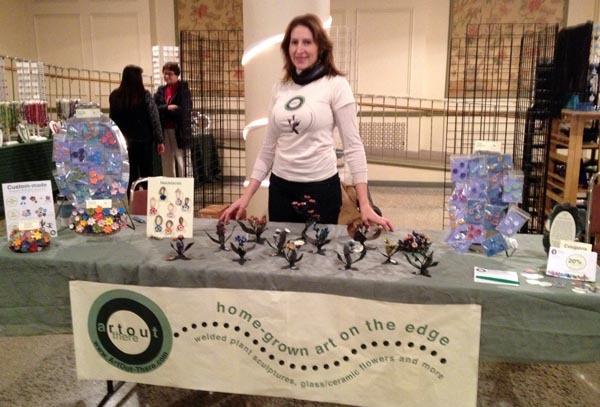 The holiday shows are usually the strong performers for sales, and they’re a bit like college applications: you’ve got your preference (based on entry fee, audience match with your product / price point, location etc), and you’ve got your “safety” options in case your first choice craft show doesn’t admit you — by the time a rejection notice comes through, it might be too late to apply for other shows. 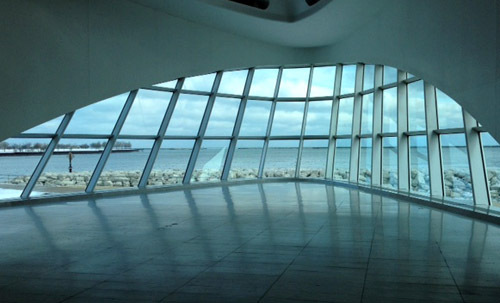 I had considered Art vs Craft in Milwaukee, which has the bonus of being held the weekend of Thanksgiving (prime shopping time), and a proven healthy audience size drawn from the show’s location. The drawbacks for me last year were the show’s two-day running time (wearying to travel back and forth, or expensive to stay overnight), and entry fee. I noticed too late that this year’s show was down to one day (with a correspondingly smaller and more appealing entry fee). My first choice this year is the Winter Craftacular. For me, this poses the danger of contempt via familiarity: I’ve been in two previous Craftaculars (one Winter, one Summer). So I put my application portfolio together carefully. 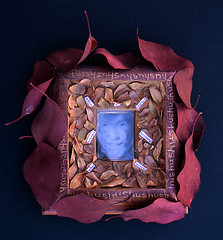 Flickr gallery used for craft show application. 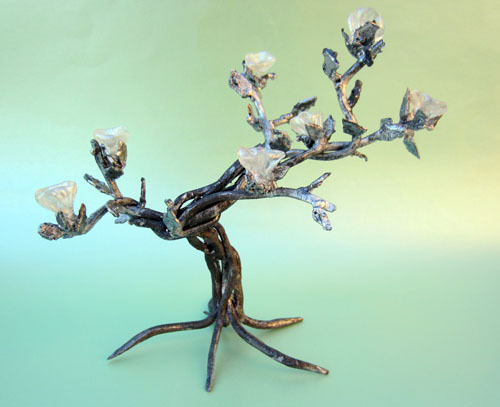 From the Craftacular curator’s viewpoint, my strong point is sculpture (it offers variety to her audience, since most other vendors feature jewelry, household goods or wearables), so I made sure to put in a new piece finished since the last time I applied. 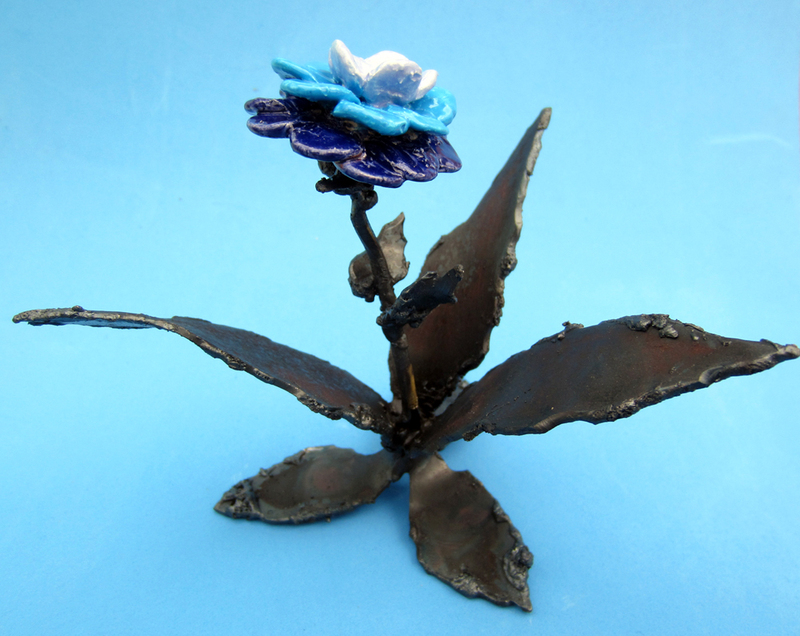 And I showed innovation, including a sculpture featuring a different type of ceramic flower I only recently began making. Then there’s the dance and balancing act between what people are interested in (and what the ‘curator’ selects to offer the audience variety), vs. what actually sells. 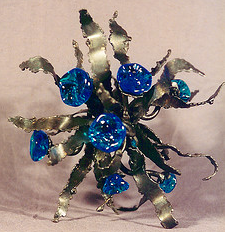 In my experience, most people are more comfortable spending on functional items rather than purely artistic items, so my magnets and necklaces sell better than my sculptures. 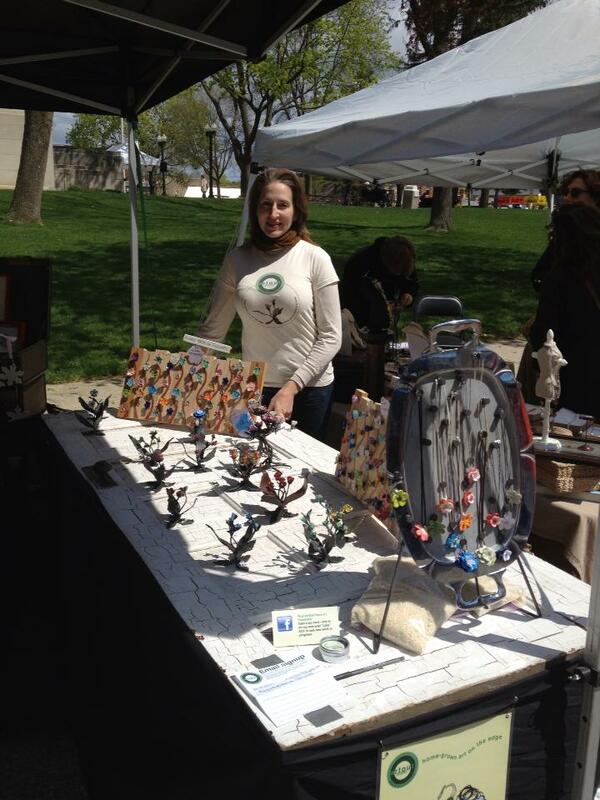 Most shows only have so many spots for “types” of vendors; if I apply and all the jewelry “spots” are gone, I might be offered a slot only to sell my sculptures and magnets, but not my necklaces. 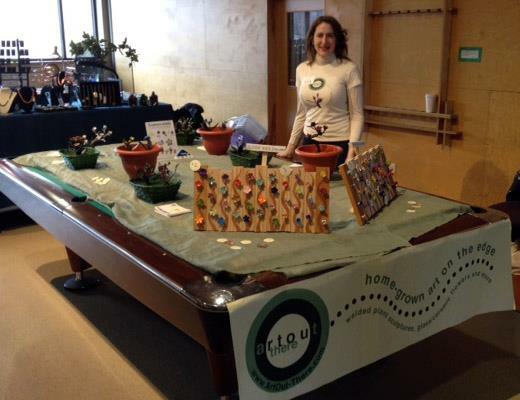 My necklaces sell better than the magnets or sculptures and have a great price point resulting in good ROI for me. Since I know there are many other jewelry vendors applying, I choose my application photos carefully to demonstrate innovation in my necklace product line since my previous application: 3 new flower styles using a wider color palette and expanding the price range. This helps to show that the curator’s audience will see something new from me, and that my jewelry will be different than other vendors’ wares – it’s all about the customer experience her audience gets when wandering the whole show. 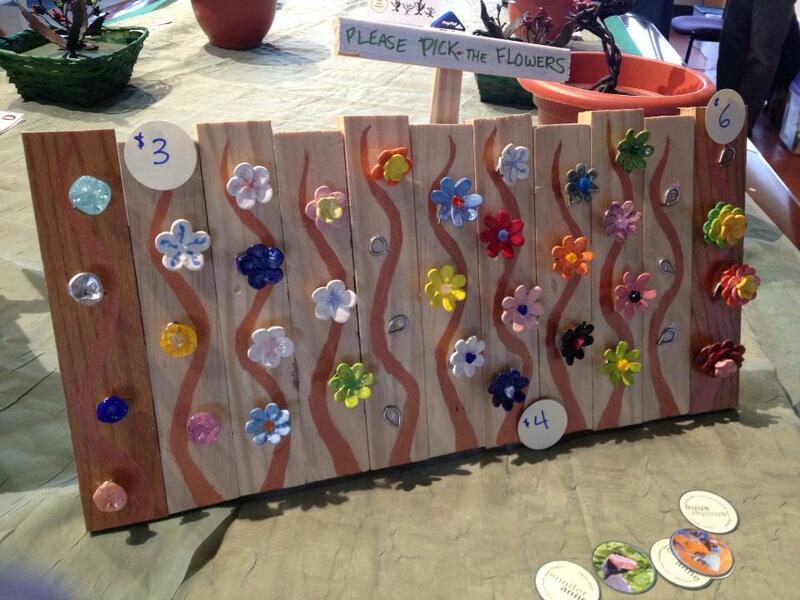 I spent a lot of time concepting and building a new display for my flower magnets, and I make sure to include a photo of that in my application, since the creativity of a display has an impact on the customer experience too (and on my bottom line: a poorly-conceived or executed display can undercut even the best product and price). By now I’ve sent in my application and fee, hoping to hear good news next week, meanwhile start working on new pieces for fall! There are related patterns in nature, mathematics, music and art – the Fibonacci sequence, Da Vinci’s Golden Mean, and on. 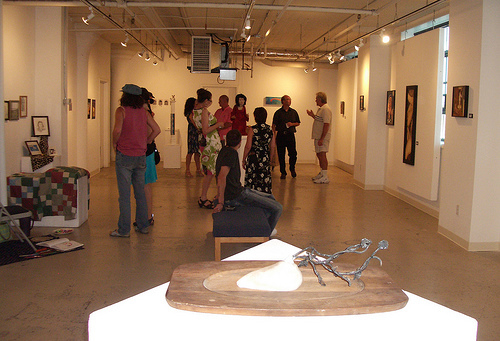 My art is guided by a sense of rhythm instilled by my first sculpture professor at UW-Madison. Rhythm is a pattern (thank you, Fibonacci), and Professor Cramer’s teachings demonstrated that odd was more interesting than even in our sculptures. Some of us internalized ‘the odd’ more than others. I think I was predisposed toward the ‘slightly off’ as opposed to the harmonious and well-balanced. Oddness usually manifests itself literally in my artwork, most notably in the number of key elements. 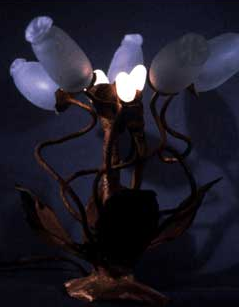 When I made lighted sculptures, they always had an odd number of lights (even if that number was 1). 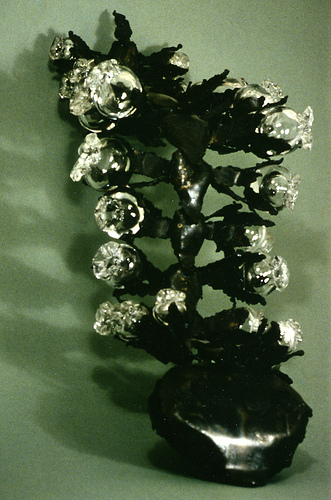 Welded and wired metal lamp with 5 blown glass blooms. My flirtation with embellished monoprints found me using an odd number of natural pearls as a finishing touch for several pieces. 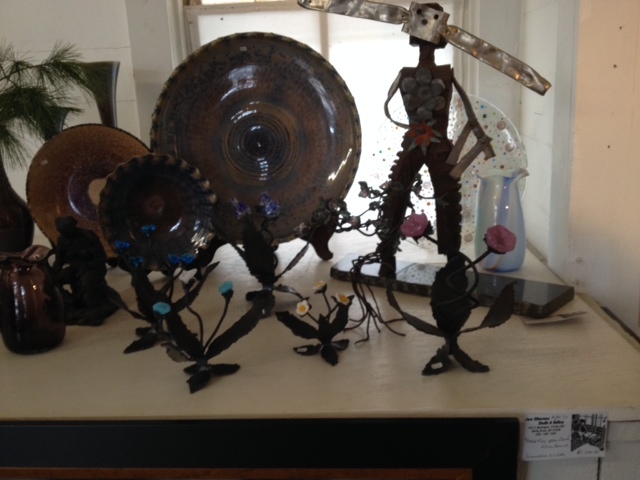 When I made pieces with larger glass elements, they were odd in number and uneven in size to boot. 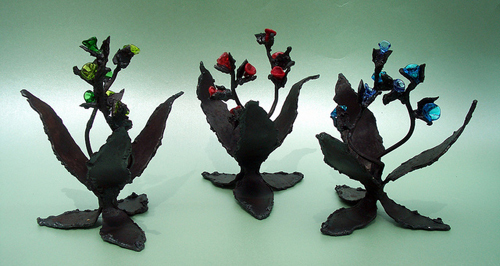 My modern tabletop plant sculptures nearly always have an odd-numbered total of glass pieces. 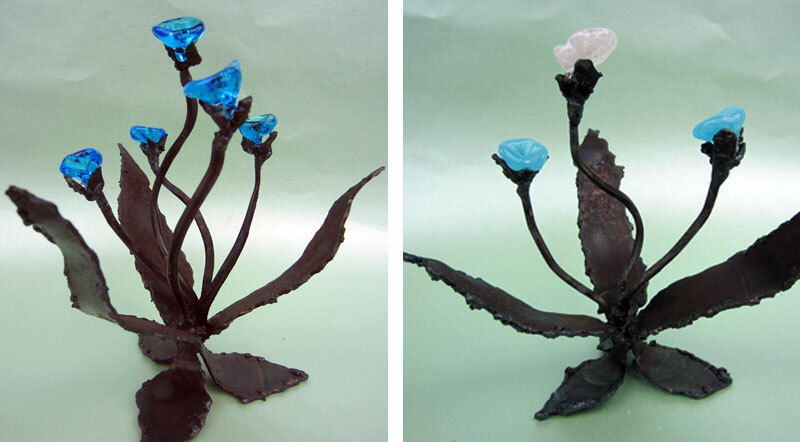 A sculpture I did for a charity auction conformed to the charity’s theme (inclusion of the color pink, wall-hung and no bigger than 8×8″), sporting 4 kinds of flowers (large glass, small glass, metal and ceramic), each in an odd number. 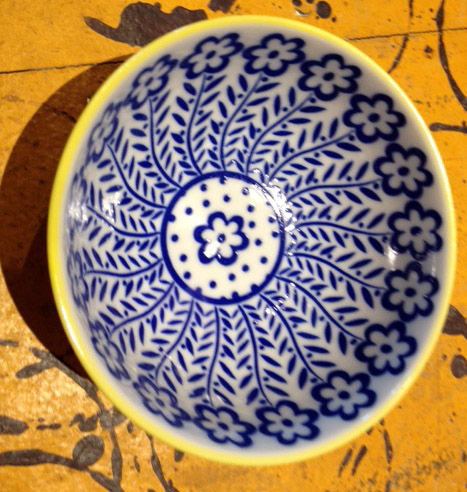 The oddity is present at the micro-level, too: petals of my ceramic flowers are always in an odd number. 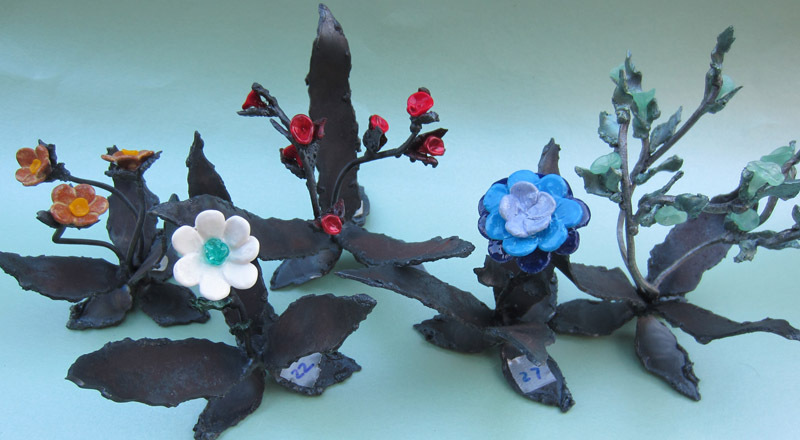 My ceramic flowers with petals in 5, 7 and a 9-7-5 sequence. It’s getting to the point where ‘even’ looks very ‘odd’ to me!